This winter we could have joined my in-laws on Maui…but we postponed our invitation and took a rain check for next year. Believe me—I know how fortunate that we are to even have the choice! But why did we decline our invite this year? It’s because I wasn’t looking forward to traveling all day (twice) with a would-be 15 month old, and I’m particularly glad we made this decision because he is a baby who does not sleep on-the-go, as it ended up being. Jay and I toyed with the idea of another Vegas vacation without the kids…but we decided to save our sheckles for Maui 2015 as a family. We then hummed and hawed over the notion of taking my in-laws time share and spending a weekend in the mountains…but ten we have to take the dog, we couldn’t really do much with Ethan (go skiing, really be outside because of the extreme low temperatures, etc. 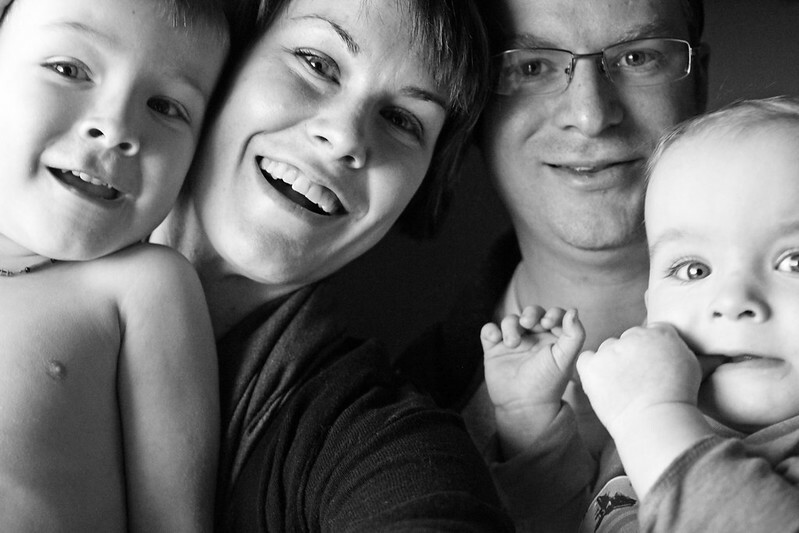 )…so we decided to wait for next year for our winter family vacation. Then Jay asked me a few weeks ago if I would like to bring the boys to the AgExpo in Lethbridge the last week of February. We could stay overnight in a hotel with a pool and water slide, it would be a short trip and it was pretty close to home. Right away I nixed the idea as staying overnight in a hotel didn’t seem like much fun. But I was at work one evening and just randomly texted Jay and told him to book us a hotel. Jay was as surprised as I was, but I’m really glad we took that leap. We traveled down together after Ethan’s nap on a Tuesday, checked into our hotel room, and went out for supper. We haven’t dined in a restaurant as a family of four for months! We just haven’t had much desire to as at this age was Braden’s worst for attention-span and not being able to listen. When Braden was 17 months, he would just run away from us all the time and constantly want to be on the go—he wouldn’t even sit still in a stroller for us! But…since Ethan isn’t walking much yet, it’s been a whole different experience with him. The boys did as well as we could expect at dinner and they both loved the pool and Braden probably did the water slide about 25 times! 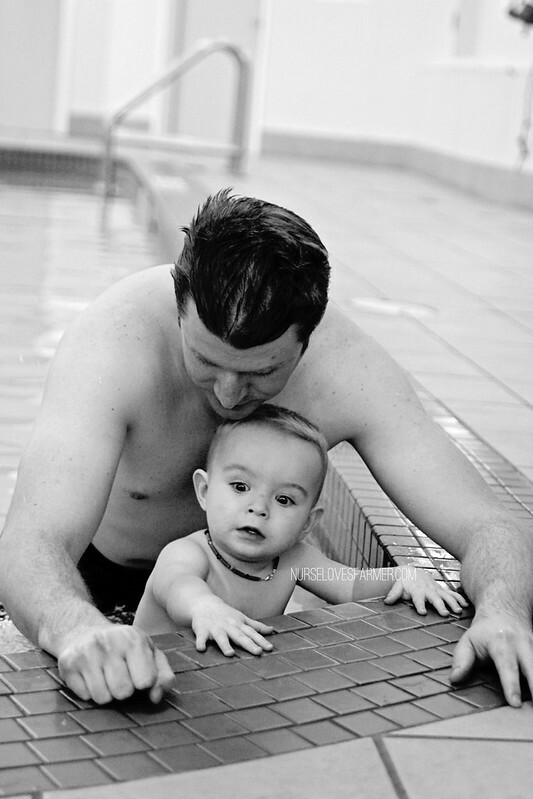 As Jay stayed in the pool with Braden I took Ethan back up to go to sleep without distractions. He had a bath, we sang some songs, and I put him to sleep in the crib in the “room” of the hotel room. We got a family suite so there was a king bed in a room which the doors could shut, and then there was a pull-out bed in the main area. Ethan only cried/fussed for 2 minutes, I could hear him still awake and happy for another 5 or so and he was out. Jay and Braden came up in perfect timing, I put Braden to bed in the king bed and then transferred him to the pull-out when we wanted to go to sleep after enjoying some House of Cards on Netflix. It felt like I didn’t sleep a wink because I was on-edge waiting for someone to wake up and start crying, but I don’t give my boys enough credit! They both slept great and woke up at 6:45 AM! Braden was thrilled to finally be able to go to a farm show and they both had a blast! 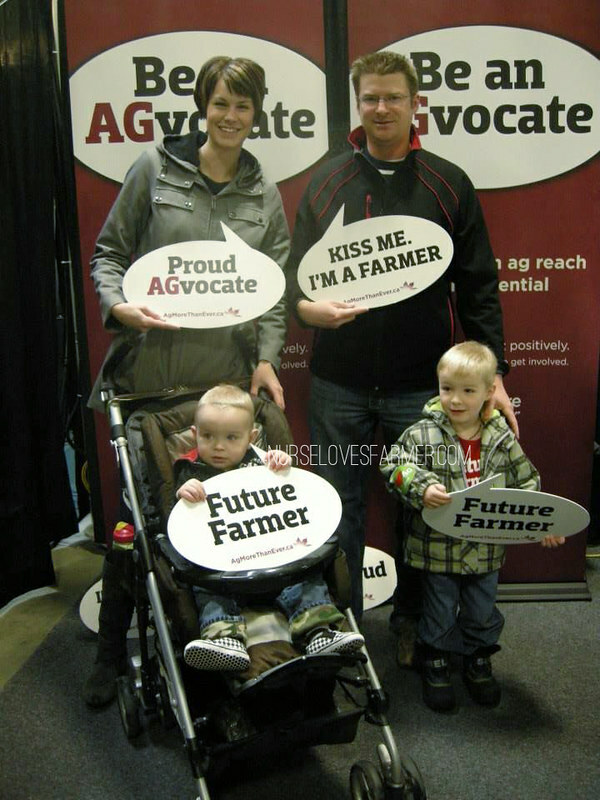 Love your blog and the future farmers picture!